Lightweight, aerodynamic and well ventilated. It seems with helmets of yesteryear you could only have two of these options. 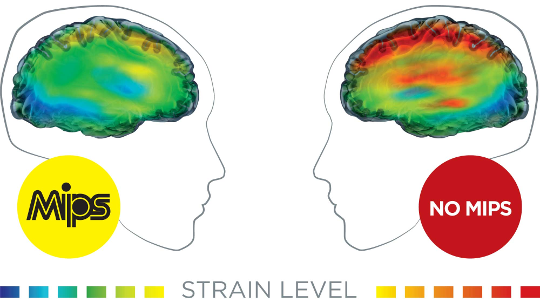 Having to put up with a hot and sweaty head is what we expect when purchasing a lightweight and aerodynamic helmet. Introducing the Evade II making an exception to the rule and breaking tradition. 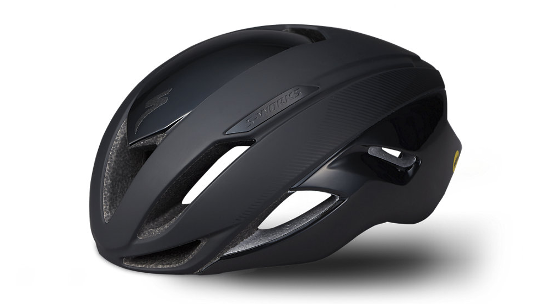 Designed and proven to keep your head a cool as it would be if you had no helmet on at all, the Evade is revolutionary in what it has achieved. However, it doesn't stop there. The Evade II has been produced with groundbreaking technologies that do not only enhance your performance but keep you safe. Specialized's ANGI Crash Sensor lets those closest to you know when you're in trouble through pairing with your smartphone on Andriod or IOS, it then sends through an accurate location in partnership with STRAVA. The Evade II also features MIPS technology which is designed to redistribute impact energy through a low friction layer which allows the helmet to slide relative to the position of the head, reducing the impact. Finally, features such as the Mindset HairPort 2 and Gutter Action brow pad help you to get the fit you deserve from an all performing helmet. As far as ventilation is concerned, free-flowing air through the helmet not only makes the helmet cooler than ever, but it also decreases aerodynamic drag. Going hand-in-hand with this, ventilation and aerodynamics were both optimized in the Specialized's "Win" Tunnel together, making for the best combination of aerodynamics and ventilation out there. Now, the exterior vents and interior channels have been carefully considered to make sure that the helmet draws in the maximum amount of air through the helmet for extreme cooling. And the result? The new Evade is just as cool as a bare head with no helmet, making it the coolest aero helmet on the market today. Last, but most certainly not least, a fast helmet is useless unless it fits correctly. 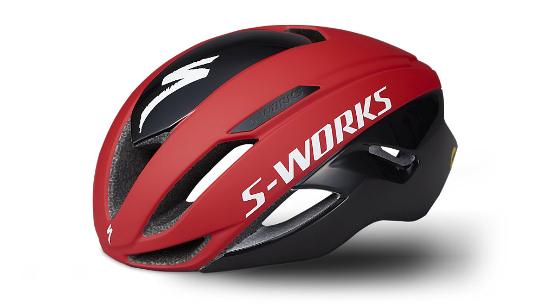 With this in mind, the new S-Works Evade has all the features you'd expect from a top-level helmet, like Specialized's Mindset HairPort 2 fit system with micro-adjustments and soft webbing that won't stretch out as well as a new Gutter Action brow pad that manages sweat to keep it out of your eyes. And to top it off, Specialized has added a new magnetic buckle to the mix that makes buckling with one hand a breeze.